One of China's top tech companies plans to list its online music business in the United States. Tencent (TCEHY) said in a statement Sunday that it will sell shares in the music unit on a US stock exchange. It didn't provide a time line or details on the size of the proposed stock offering, but recent reports have suggested the move could value Tencent Music at more than $30 billion. The company didn't respond to requests for further comment. 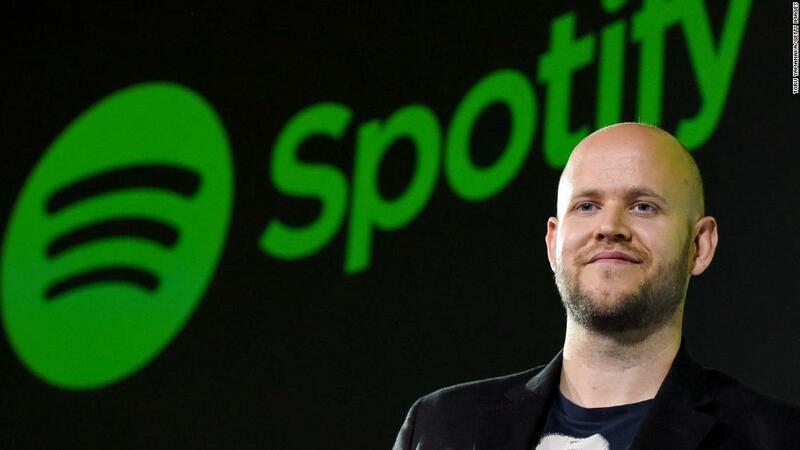 A valuation on that scale would put Tencent Music on a par with global music streaming service Spotify (SPOT), which went public in New York in April. The two companies already own stakes in each other after a share swap in December. Hong Kong-listed Tencent, which has a market value of around $480 billion, owns an array of internet businesses, including WeChat, a multipurpose messaging app that has more than one billion users. Tencent Music dominates the music streaming market in China through its QQ Music, KuGou and Kuwo platforms. It has around 600 million users, although only about 15 million of them are paying subscribers. 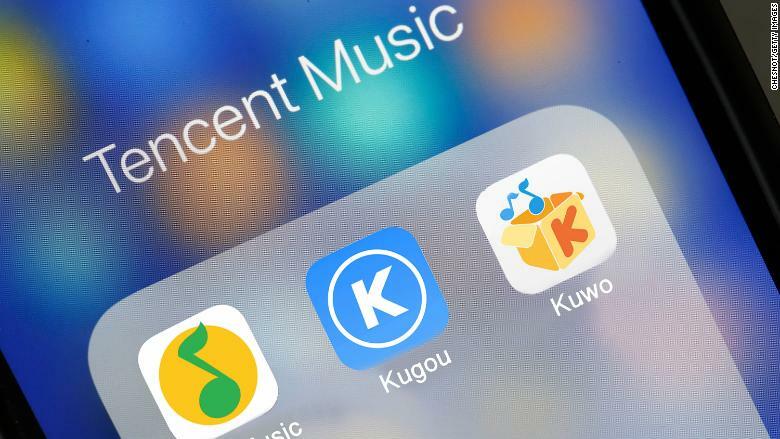 Tencent's QQ Music, Kugou and Kuwo services seen on the screen of an iPhone. It has exclusive deals with Sony Music, Universal Music Group and Warner Music Group. Under the arrangement, Tencent gets to decide which songs rivals can stream. "Tencent has an overwhelming market share in a growing business," Travis Lundy, an analyst at investment research platform Smartkarma, wrote in a note Monday. He added that an IPO would give Tencent Music new funds that it could use to buy more content for its platforms. Tencent shares were up 2.5% in afternoon trading in Hong Kong. The planned IPO of Tencent Music comes amid a flurry of anticipated listings for Chinese tech companies in the coming months. Smartphone maker Xiaomi made its trading debut in Hong Kong on Monday after raising $4.7 billion in an IPO.